Scott Shelton, 37, Westerville; dean of students, Ohio Institute of Broadcasting, COlumbus Married to More…Whitney; two grandchildren, Louis and Lena. Briefly married to Dale Shelton (NHS '72) from 1976-1980. We had one son, Scott. Married Greg Gaskill, who was active duty air force, in 1983. We traveled all over during his service, returned to Clark County in 1991 and have been here ever since. He retired as a Lt. Colonel and now works at the base in civil service. I returned to college while we were stationed at Langley AFB and got my associates degree. Returned to Wittenberg and graduated with my bachelors in 1995, got my master's degree in 2004 (I think.... can't remember!). began working as a reporter in 1992 and retired as the managing editor of the Washington Court House Record-Herald. During my time there, the paper won two Associated Press' general excellence awards. I have also published five mystery novels, BARN BURNER, THE MAJOR'S WIFE, LETHAL LITTLE LIES, MURDER ON THE LUNATIC FRINGE and DEATH OF A HIGH MAINTENANCE BLONDE. All five are collected in an eBook anthology DEATH COMES TO JUBILANT FALLS. My sixth novel, CALL FITZ, will be available July 11, 2015. 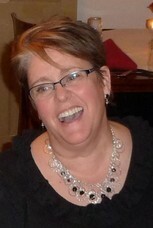 Debra Kern Gaskill has a birthday today. 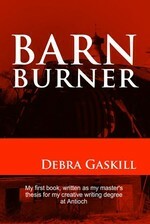 Debra Kern Gaskill has a birthday today. New comment added. 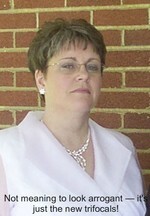 Debra Kern Gaskill updated profile. View. Not meaning to look arrogant—it's the new trifocals! Here I am with Bob Dole at the WWII memorial in Washington DC. I was there on a story.